Clermont F. Ripley is a senior staff attorney with the Workers’ Rights Project of the North Carolina Justice Center. 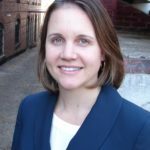 Clermont joined the NCJC in 2007 after graduating from the University of Virginia School of Law, where she was awarded the Powell Fellowship for Legal Services. As a Powell Fellow, Clermont advocated on behalf of H-2B seafood workers along North Carolina’s coast. Clermont represents low-wage workers, such as farmworkers, H-2B and J-1 workers, and restaurant employees, in wage and hour litigation and advocates for changes to federal and state policies to improve the economic security of North Carolina’s working families.